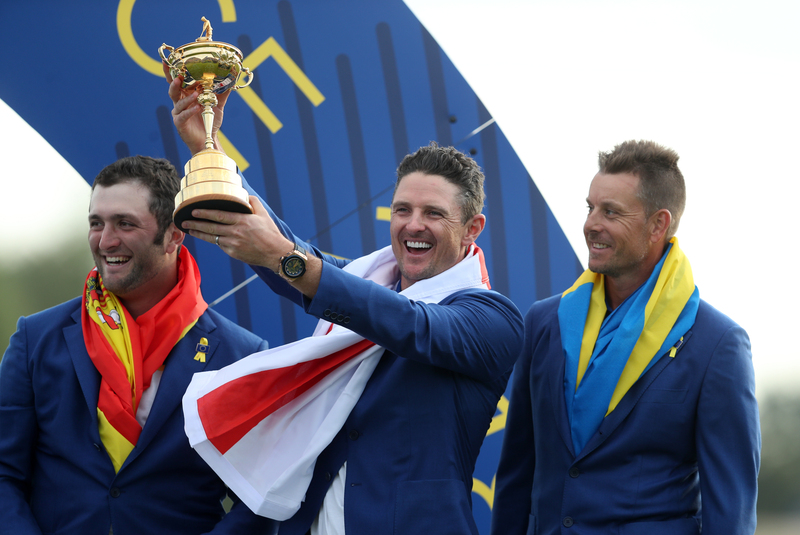 Rose wants Harrington as next European Ryder Cup captain. World number two Rose was part of the European team led by Thomas Bjorn which beat the United States in Paris at the end of last month. Rose believes Irishman Harrington is an ideal candidate and also feels Lee Westwood is in contention. “(Lee) Westwood’s still capable of making a team next time around I believe, so is Padraig. “Padraig’s been on the leaderboard a bunch this year so I would say three-time major champion, clearly a European legend, for me Padraig is the front-runner and then you’ve got Westwood. Rose, who had a brief spell as world number one last month, is hosting the British Masters at Walton Heath this week. The 2013 US Open champion and Olympic gold medallist still has plenty of personal ambition and dreams of securing a career grand slam by winning the Masters, Open Championship and PGA Championship. “I would say I’ve accomplished a lot of my dreams, for sure,” he said. “This season has given me a couple more strings to my bow, to be able to say I’ve got to world number one is a nice tag line and it’s a nice milestone to say you’ve achieved in your career and in your sport. “There is still plenty more to achieve, obviously I’d love to win more major championships, as a kid that’s what I dreamed about. I’d love to win three more and I’d love to win the right three.